Google announced the Android Oreo last month, and almost every smartphone manufacturer is now working to provide the latest version of Android to its eligible devices. We have already shared the list of phones getting Android Oreo so you can check that. Samsung is not that fast in providing Android Updates when we compare it with the likes of Sony and Google, but we all know that eventually, the update is delivered by the company. Samsung Galaxy S8, S8+ and the Note 8 are the three best smartphones of 2017 from Samsung, and we all know that Android Oreo is coming to these phones. 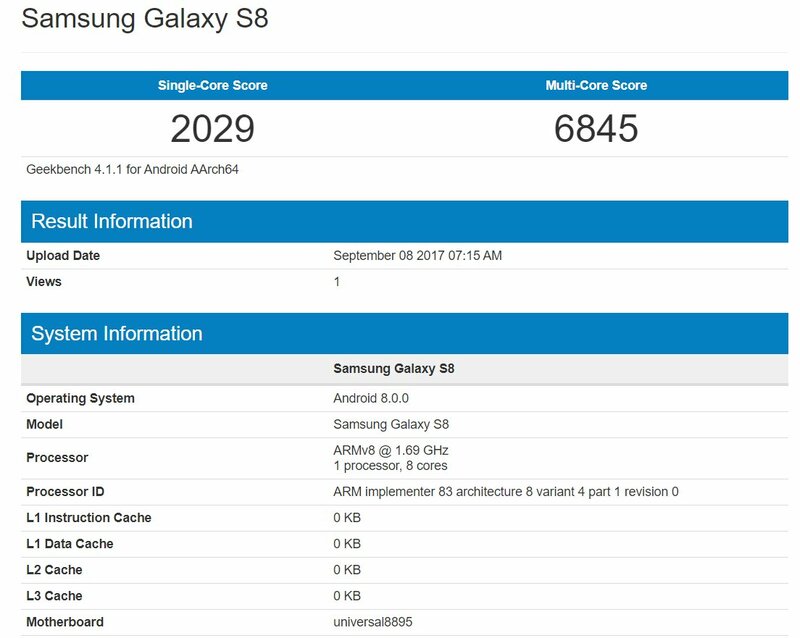 Recently, Samsung Galaxy S8 was spotted on Geekbench running Android 8.0.0 Oreo. Does this mean that the Android Update is coming pretty soon? It is expected that Samsung will start rolling out the update for Galaxy S8, S8+ and Note 8 by the end of 2017.